It has been an amazing year here at the maus. We have seen an exponential growth over the past few months and continue to expand our social media presence daily. Manny himself has taken to the twitter and begun his tirade of mini rants so that you all can get the full Manny experience in real time. Which brings us to now. In the effort of continuous expansion and total web life dominance we will begin branching out into new categories of information as well as some new contributors coming into this mix. I call this article Fashionably Delicious, and it is the brainchild of myself and Twincess. You may know her as the Director of Social Media for Portemaus, she also happens to be an expert in the realm of fashion and food. This article takes the same kind of mentality of Movie Night and translates it to the culinary and textile experience. We will explore new and exciting entries into food and fashion and give you our own thoughts and feelings here. Much like Movie Night this is about exploration and discovering hidden gems, not only just the next five star restaurant or newest boutique on 5th ave. Hope you enjoy. Here we go. 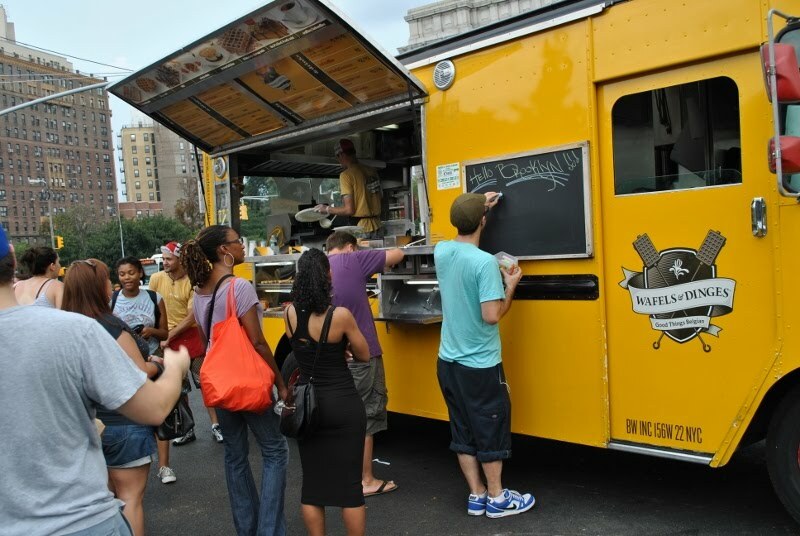 Today we are going to talk about the Prospect Park Food Truck Rally. 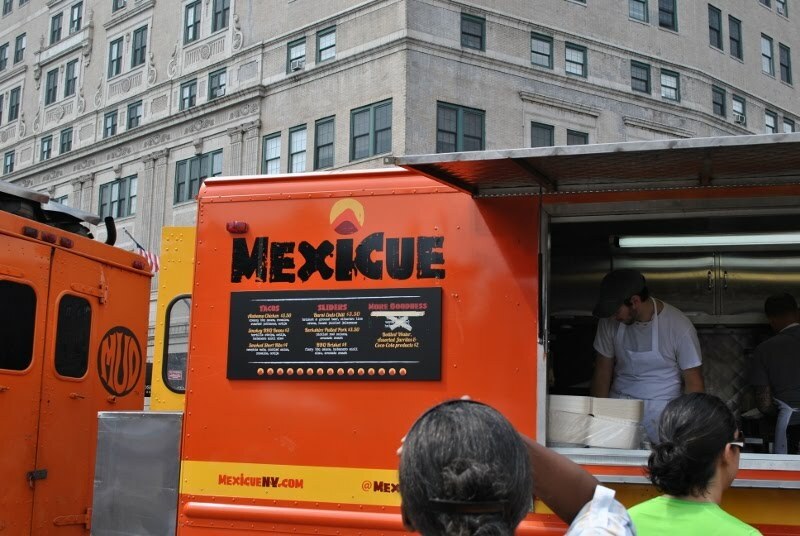 We had the privilege of coming to the first Rally a few months ago, and since then it has continued to grow adding new trucks and gaining a significant following. 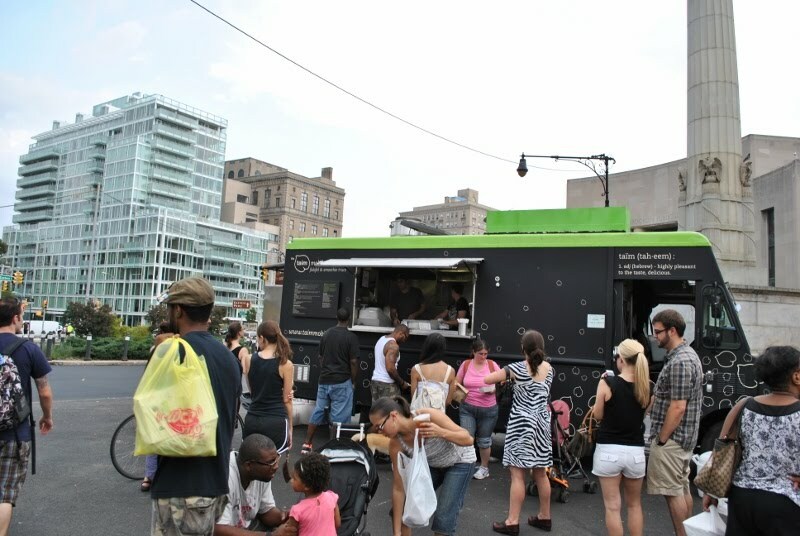 Now it has become a microcosm of the best food trucks in NYC. 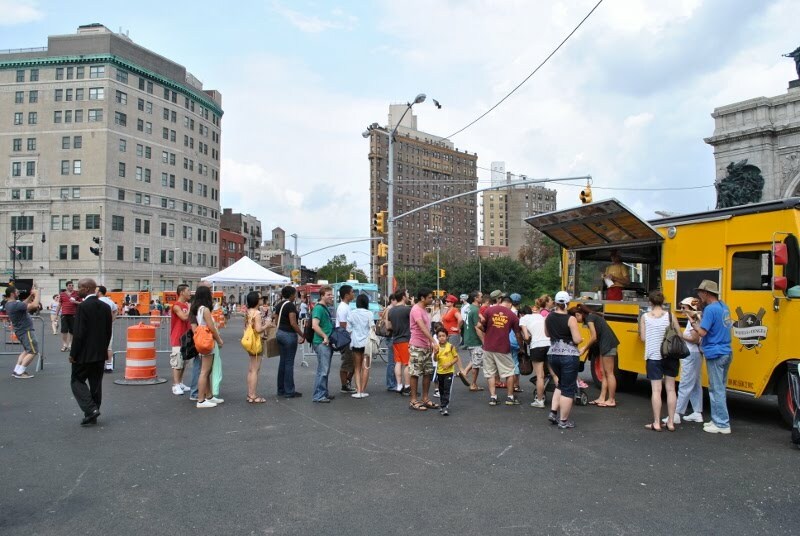 A place where you can come and try all your favorites in one locale.The food truck craze is huge all across the country, and no city does it like New York. New York has always been a shining beacon in the realm of street food so it's no surprise that food trucks have caught on in a big way. 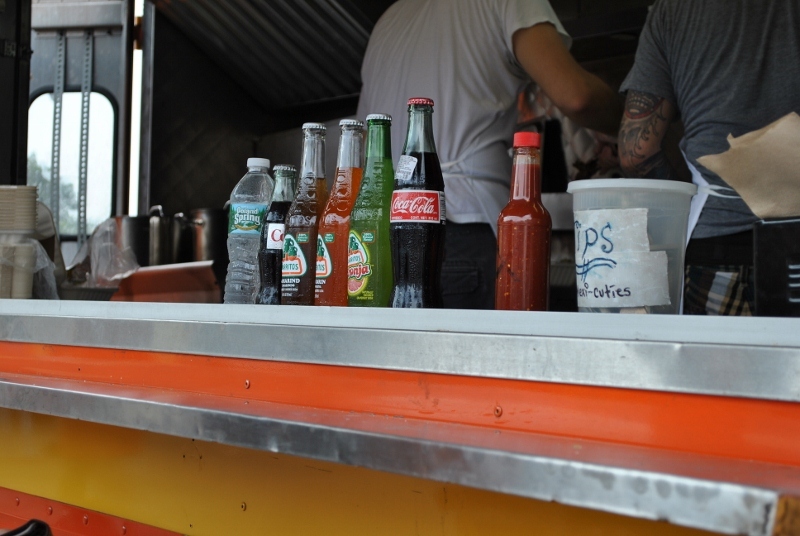 The selection at Prospect Park is a great example of how diverse these options can be. In fact there are so many options now, you need to come with a plan, because there is no way you'll be able to try everything. Here is the selection from this months rally. Amazing right? But like I said impossible to indulge yourself in all of your choices, plus the later it gets the longer the lines, and for anyone who's been to a popular food truck the lines can get pretty out of hand, but don't worry the waffles are really THAT delicious. This is our second time here and still haven't had the pleasure of trying everything but I'll walk you through some of the amazingness we have tried. First off we begin every Rally with a stop at Joyride. Joyride offers high quality Stumptown coffee and frozen yogurt with fresh fruit. I can't speak for the yogurt but the coffee is a prime example of how delicious coffee can be when you don't burn the beans(you know who I mean) I had the The Balzac which has espresso, hot chocolate, and steamed milk. Relatively simple drink, but the flavors of the coffee and richness chocolate have enough depth to keep me coming back for more. The milk is perfectly frothed and you're left with an exceptionally creamy and smooth coffee latte that manages to celebrate the natural flavor of coffee rather than its bitterness. Twincess had The Dickens, now this is a true coffee lovers drink. A double shot of coffee and infused with vanilla and cinammon and just as rich and smack you in the face strong as it sounds. The drink packs a lot of flavor into a tiny shot, it's an interesting choice and undoubtedly delicious, definitely not for those that are not true coffee lovers. 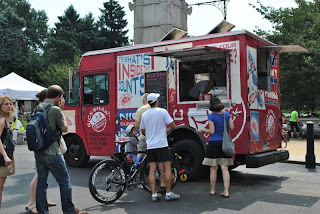 Now that we have our coffee, we take a few steps to the left and begin the feast with Eddie's Pizza Truck. Eddie's is serving up the thinnest of thin crust pizza with simple ingredients. 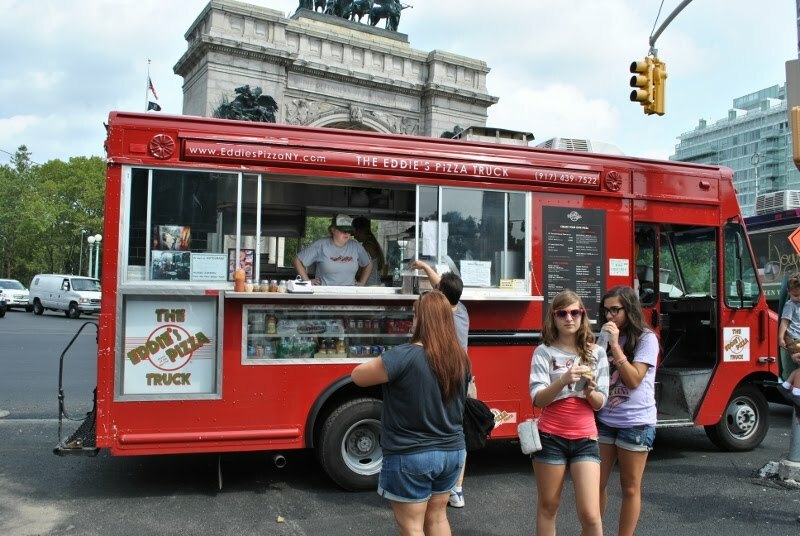 You have a myriad of choices when it comes to pizza in New York, but you all ow it to yourselves to give this truck a try. The crust has the right amount char to give it the crisp that it needs, while stay mainting a bit of softness in the middle. Typically I prefer a much heavier cheese to sauce ratio, mainly because I think sauce is so hard to get right. Many times the sauce can be too sweet or too spicy and take away from the cheese or the toppings. Here though, the sauce is slightly acidic, very smooth and not chunky at all. It has the slightest bit of sweet to it, which is something I usually hate, but they pull it off better than anyone. I think that is because they marry it with the perfect amount of cheese. Now I'm not sure what kind of cheese they use but it tastes like a mix of mozarella and some aged parmesan. When you open the box the fresh cheese just hits you, and you know you're in for a treat. The creaminess of the cheese is fits perfectly with the sauce, with one never overpowering the other and both being delivered to you on the perfect crust. Any person would be happy with just a simple cheese pizza. That's all you need because it's that good. But never one to shy away from trying new things we chose to do half meatballs. Now these meatballs are amazing, the best part about them is that even after cooking once before, and then being placed onto the pizza and back in the over they are not overcooked. They still maintain a crispy exterior and soft interior. They have an herbacious flavor that again sits perfectly atop the already sublime pizza. 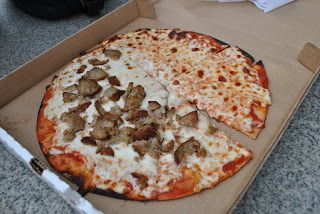 Eddie's, if anything, is a master at creating a symphony of flavor, with not one aspect of the pizza overpowering another. This is where some strategy really comes into effect. 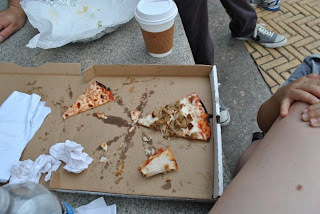 So while Twincess and the little guy indulged in some top notch pizza, I grabbed a slice and ventured to the next line. Up next, we were in search of a falafel from Taim Falafel and Smoothie Truck. 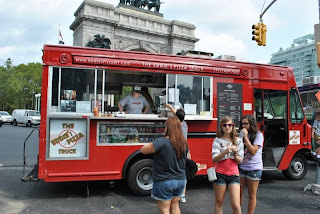 Taim is immensely popular and anytime I see the truck around Manhattan, there is always a huge line, but don't fret these guys know what they're doing and turn around orders with great speed. 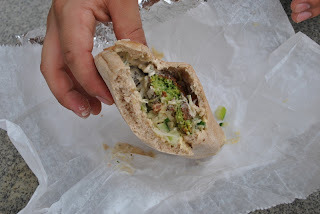 Today we opted for their signature item, the falafel sandwich, which consisted of falafel, israeli salad, and pickled cabbage, and tahini all inside a whole wheat pita. 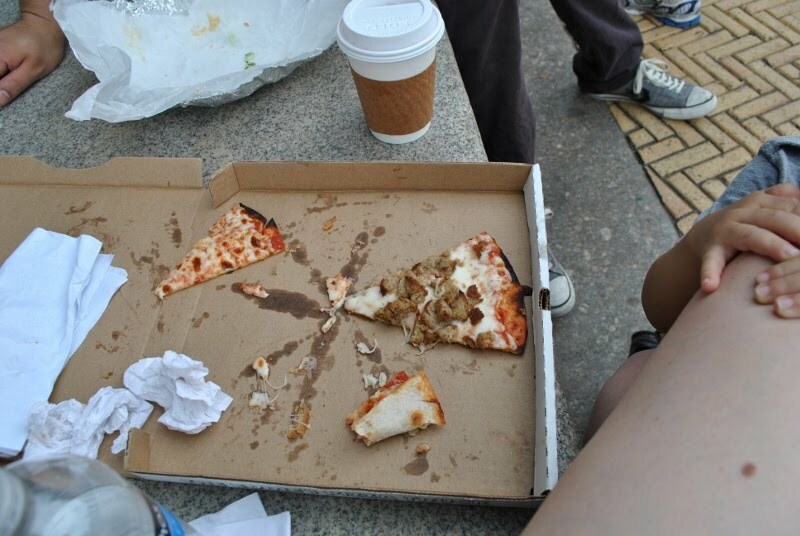 In the middle of pizza, tacos, and coffee this was a refreshing change of pace that added a completely different dimension to the gorge fest. The pita was a masterpiece of spices, with expertly made falafel that really hit the perfect balances of spices to give the sandwich a great complexity. Add to that fresh veggies and some tahini for creaminess and this realy elevates any kind of pita I've ever had. Needless to say this pita might warrant the walk to times square on my lunch break to indulge in something different than hot dogs and wendys that midtown has to offer. Also if their falafel is that delicious and fresh I can only imagine how perfect a date, lime, and banana yogurt smoothie must be. 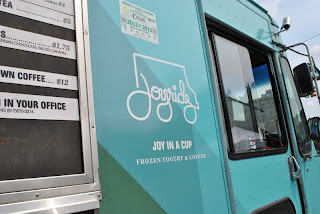 Not one to shy away from a challenge, we decided to venture out to one more truck before we finished it off with the best ice cream sandwich I've ever had. Mexicue had been calling my name all morning, and after hearing its praises from some coworkers I had to try it out. 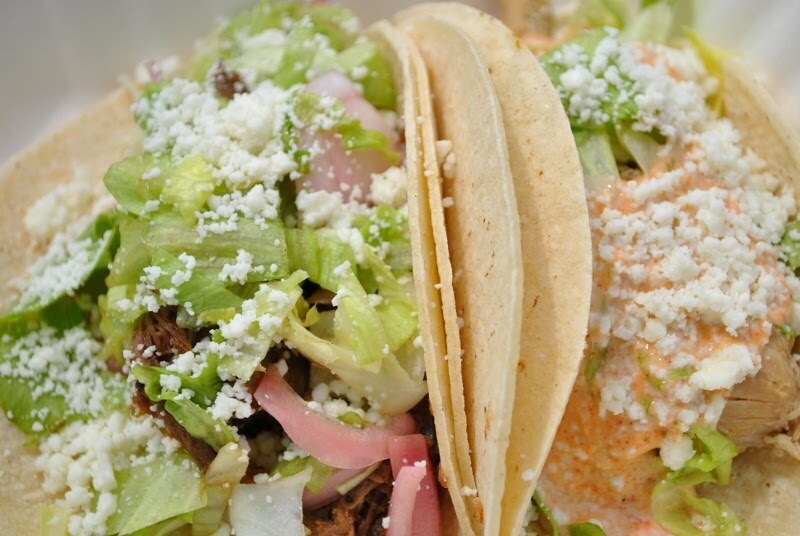 The concept is as simple as the name, Mexican BBQ. How that doesn't immediately get your mouth watering would be beyond me. 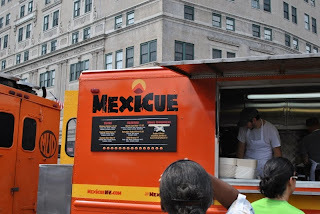 The truck offers a simple menu of sliders and tacos, and as much as a burnt ends slider sounds amazing, I played it a little safe as I neared my breaking point and went with the tacos. 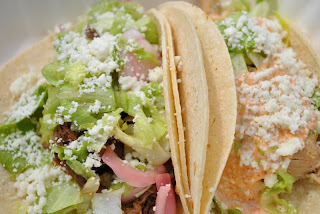 We tried a short rib taco, and a chicken taco. The chicken taco was fine, a relatively middle of the road taco with some decently cooked chicken and lettuce and cotija. One thing for sure is that they don't skimp on the portion size packing that corn tortilla full of deliciousness for all. The best part of the chicken taco was the Alabama BBQ sauce, it had the slightest bit of kick at the end that added some style an otherwise unexciting chicken taco. Now the short rib taco was a completely different story. This happened again with the ice cream, but this was a great example of having an idea in my head of what Mexican BBQ would taste like, and the food emulating that perfectly. The short ribs were super tender with a slight char on the outside, and had the most amazing blend of smoke and spice that no sauce was needed other than its own juices. The taco opted instead for pickled onions which were a perfect acid component to counter the richness of the short ribs. It really was Mexican BBQ at its finest and managed to give me a different take on the taco, while still keeping it very familiar. Maybe the best thing I ate all day, but with everything being so different it'd be hard to pick a favorite. Oh yah and what better way to wash this down with some ice cold Jarritos. Before we finish off with what might be my favorite ice cream of all time, I want to talk about some of the other food that we have had before, but didn't get this time around. These are gonna be short and sweet. Rickshaw Dumplings Truck - Anita Lo's dumpling concept bar taken to truck form executes three styles of dumplings, pork, chicken and edamame. Each dumpling has its own special sauce that compliments it perfectly. The pork is easily my favorite, but the edamame is completely unique and the lemon sansho takes it to a whole new level. Waffles and Dinges - we actually visit this truck a few times a month. Not much to say here other than they have the best waffle you are going to find. Using special Belgian sugar and topping the waffle with enough sweets to make your inner child scream with joy. 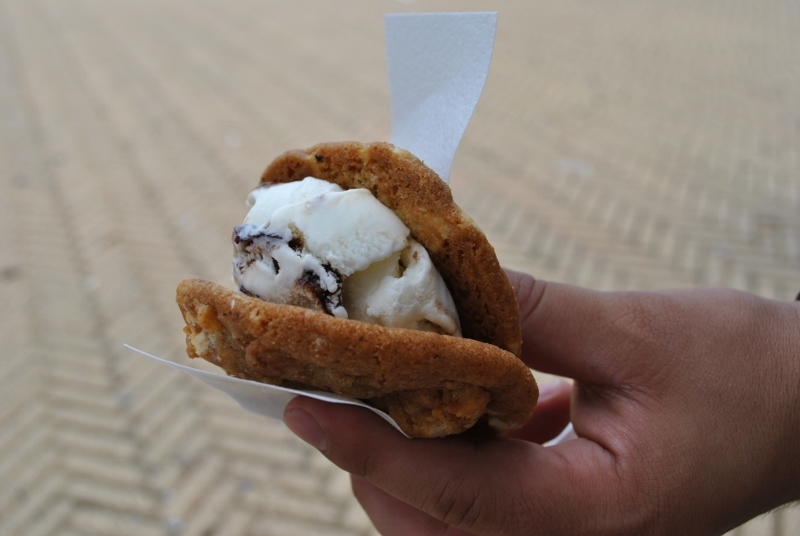 Worth it just to experience the happiness that is speculoos on a waffle. Bacon baked into a waffle to wake you up in the morning, yes please. 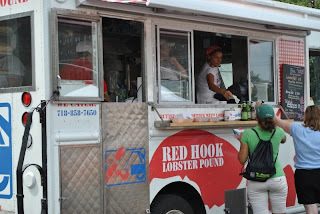 Red Hook Lobster Pound - The actual storefront is near our local grocery store, so this is another one we enjoy on a regular basis. Simple lobster and shrimp rolls cooked to perfection and wrapped in a delicious Maine bun. Our favorite is the Connecticut style, which employs butter instead of the mayo, also nothing wrong with adding fresh tarragon to a shrimp roll. Alright so after indulging ourselves in some delicious mobile food, we decided to finish the day with Cool Haus. 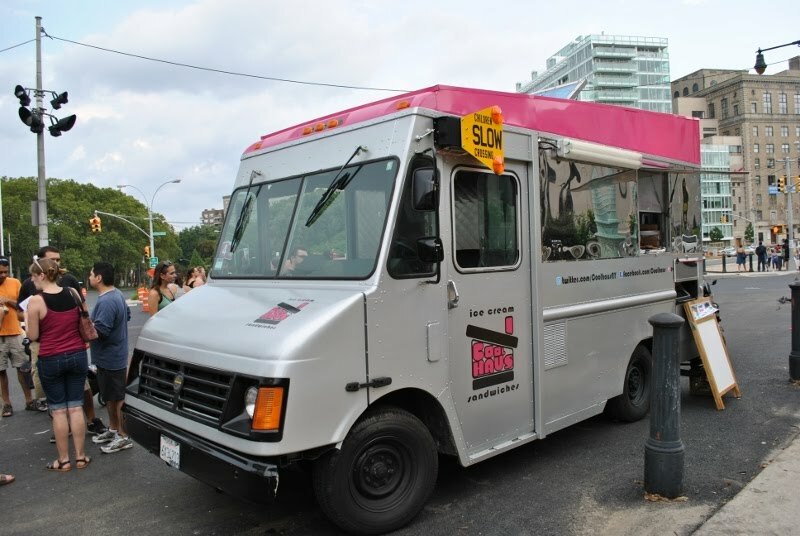 A food truck dedicated to ice cream sandwiches and as previously stated perhaps the best ice cream I have ever tasted. 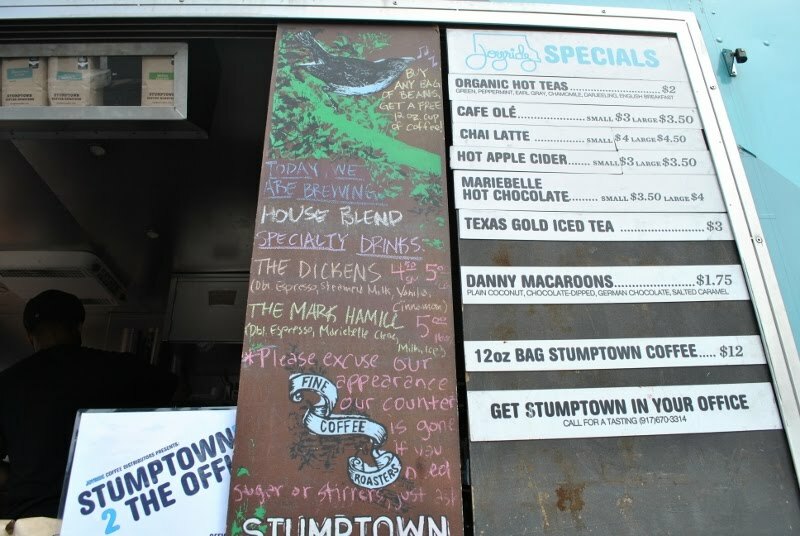 This truck makes small batch homemade flavors with some amazing results. 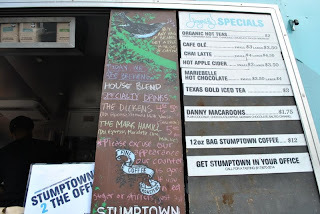 The standard Tahitian vanilla, and sea salt caramel, but they also have balsamic fig and mascarpone, and strawberry jalapeno, and the flavor of the day Key Lime pie. You order whatever ice cream you want(their flavors rotate with a handful to choose from each time) and then choose what kind of cookie to pair it with. The cookies are just as amazing as the ice cream with choices such as Maple White Chocolate, red velvet(yes a red velvet cookie is as good as it sounds) and ginger molasses. Each ice cream has the perfect texture smooth and creamy without feeling like soft serve, and they all manage to balance the sweetness perfectly. None of them are ever overpoweringly sugary, rather they celebrate the flavor of the ingredients. I had the balsamic fig and mascarpone inside of a maple white chocolate cookie. This is a high class sandwich and something I would eat every night. The mascarpone and the balsamic have just the right amount of tart to balance out the richness of the maple white chocolate. Then you have the sweet perfection of a fig that adds another dimension of texture into an already smooth and slightly crunchy sandwich. 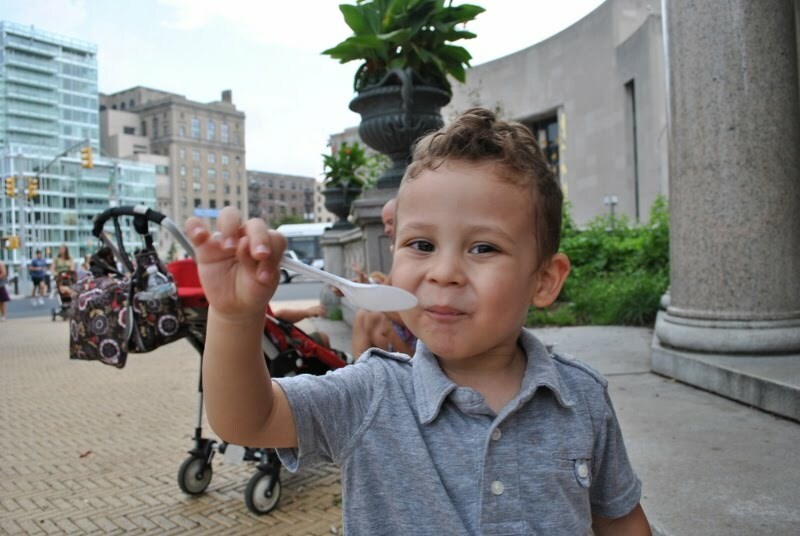 The winner of the day though belonged to Twincess's Key Lime pie ice cream in between a snickerdoodle. This was the second example of having an idea in my head of what Key Lime pie ice cream should taste like and having the food emulate that perfectly. I have had Key Lime pies that weren't able to recreate the Key Lime flavor like this ice cream did. Down to the graham cracker crust which was recreated here as a ribbon through the ice cream, everything was firing on all cylinders and in between a top notch snickerdoodle. Twincess won the day with the best order by far. 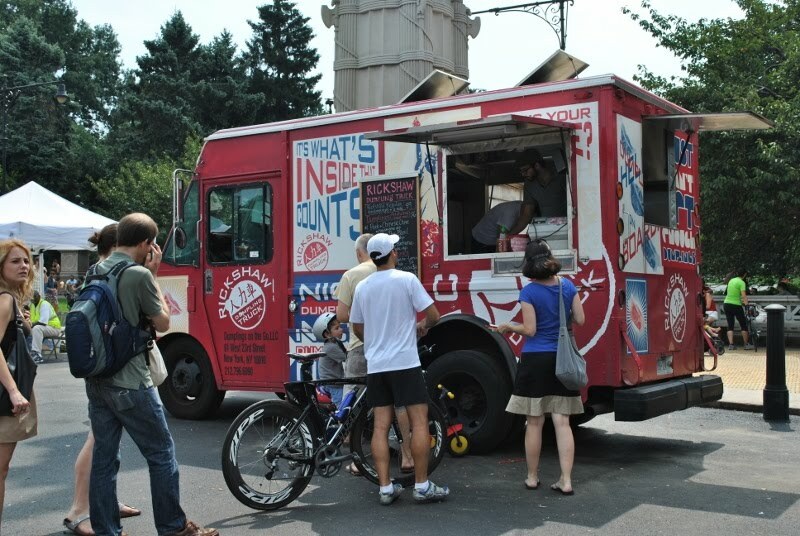 Cool Haus has a few locations all over the country, if you find one stop, pull over and go treat yourself to the best ice cream I've ever had. That does it for the first installment of Fashionably Delicious. I hope you enjoyed it as much as I enjoyed writing it for you all. I know this first installment was quite long, but hey it is a an article by Bence so what do you expect? I did have a lot to cover this time around, expect future pieces to be much shorter in length. Again, really excited to be branching out here into other aspects of the cultural landscape. We should have another piece up soon representing the "fashionably" label in the title so stay tuned for that. One last thought - that is pure bliss.